I thought I would throw another Ford Ranger T6 in to the mix this month, since they’ll be going in to production here in the U.S. this fall. 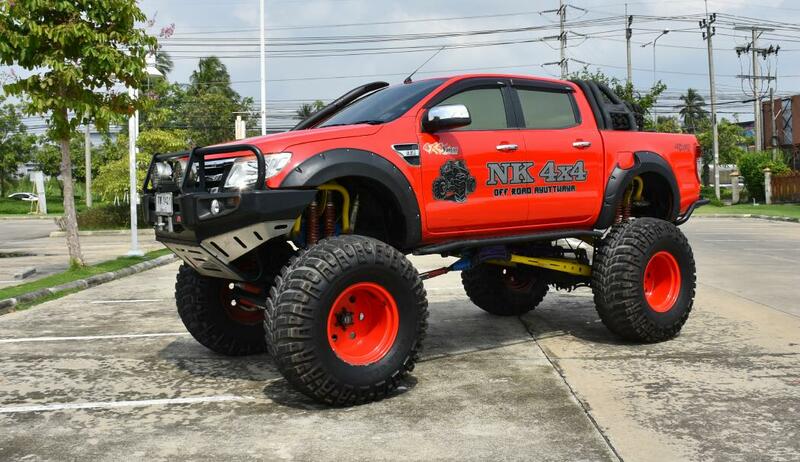 Based on the headlights, I can see that this is a 2011-2014 Ford Ranger T6 from Thailand. The 2015-2018 Ford Ranger T6 (like we’re getting) has a slightly different fascia and headlights (one of Ford’s mild makeovers). 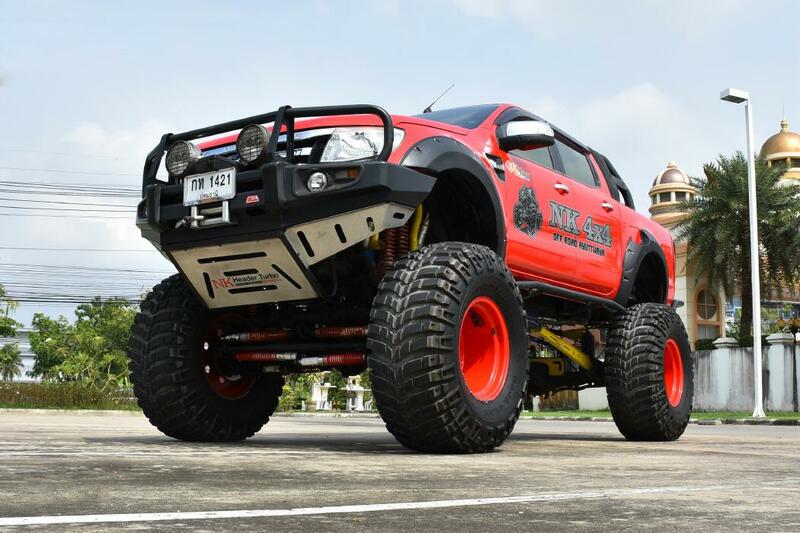 The most obvious feature on this truck is the Mickey Thompson Baja Claw 19.5 / 46-20LT tires on USA 20-inch wheels with a -40 offset. 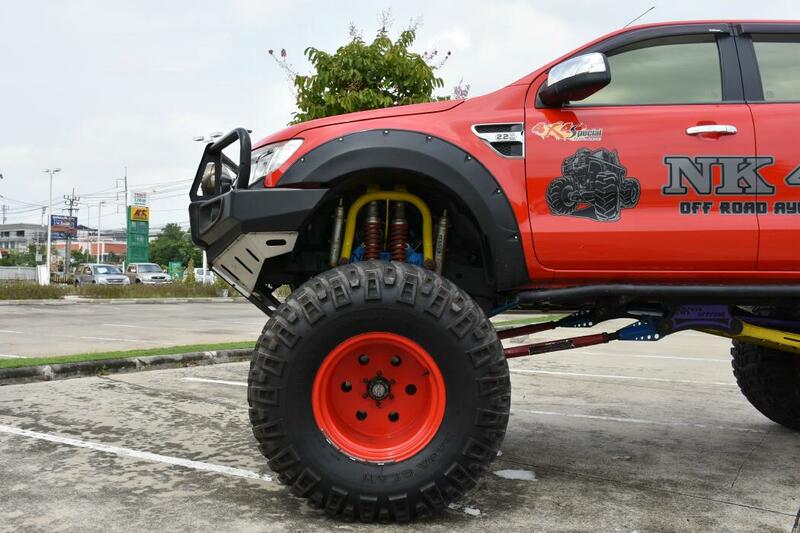 Lift is made possible with the help of dual coilovers at each wheel, and a 4-link suspension. 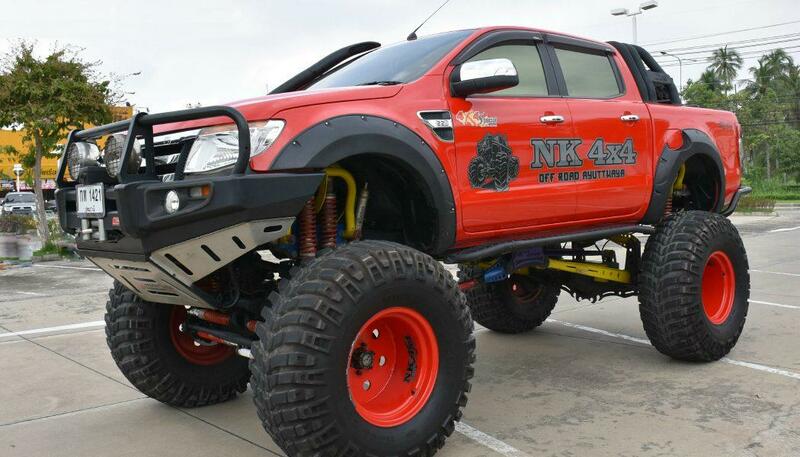 You’ll also obviously notice that this Ford Ranger T6 has a SAS (Solid Axle Swap). 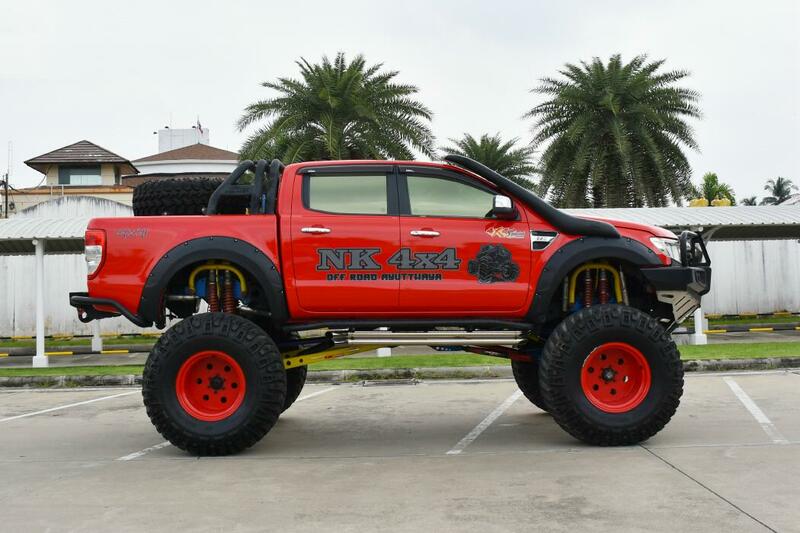 The axles have been replaced with Toyota Land Cruiser VX80 axles. 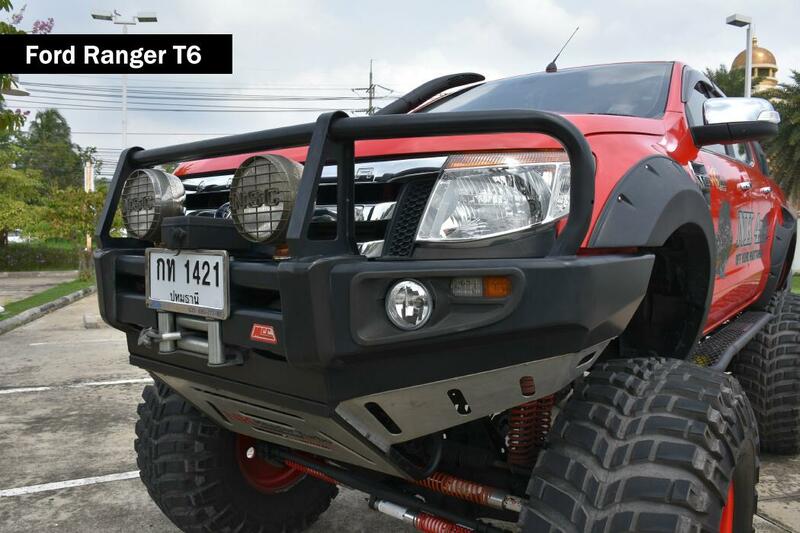 The Ranger is still powered by the original 2.2-liter Duratorq turbodiesel. The engine breaths through a TJM snorkel, although I don’t see how this Ranger could get in water deep enough to need it. The exhaust exits through a dual chrome NK Mechanics exhaust mounted under the passenger side steel running board / slider. 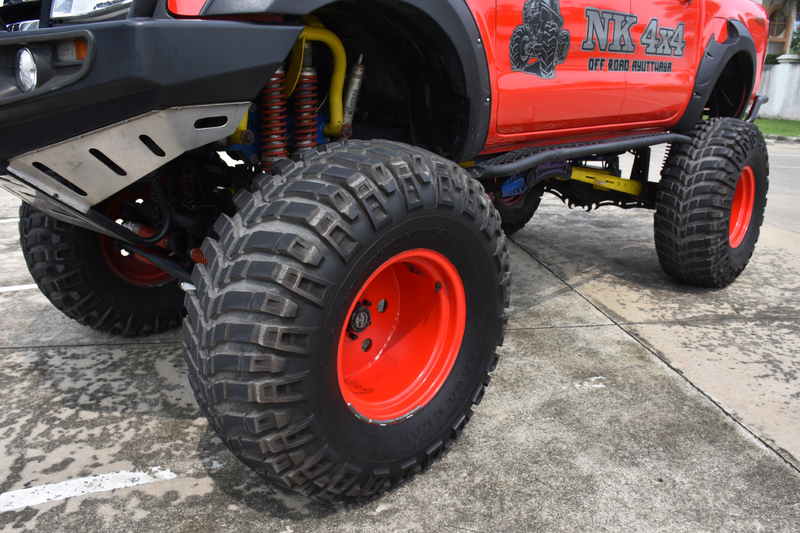 Other features includes a winch, MCC front and rear bumpers, roll bar, and fender flares. 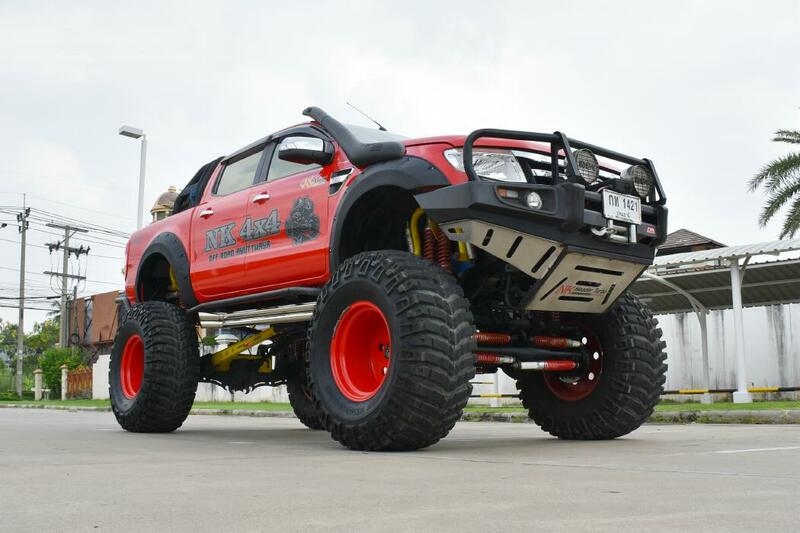 I can’t help but wonder how long it will take someone to SAS a Ford Ranger T6 here in the states.